Formerly known as Project Aster, the Owner named his new yacht Masa during a private ceremony. 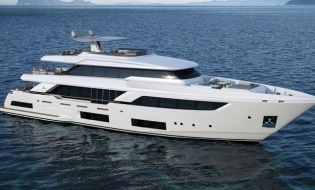 Arcon Yachts from Monaco introduced the client and represented his interests throughout the construction. After its being sold in January 2019, Istanbul-based shipyard Bilgin Yacht's 47.5-metre superyacht Bilgin 156 was delivered to her owner on March 26, 2019. Zeelander Yachts is extremely proud to announce the launch of the Zeelander Z72, its largest yacht to date. The Mangusta Oceano 43, the third 43-meter yacht in the Mangusta Oceano series of displacement vessels, previously known as “Project Firenze”, has been officially delivered to her Owner.